370 Tulls Creek Rd, Currituck County, NC 27958 (#10233922) :: Abbitt Realty Co. 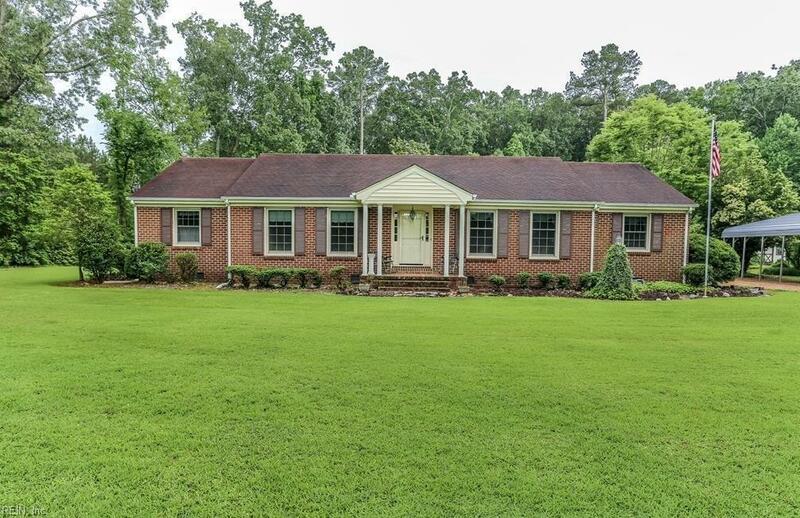 Brick ranch on 3.5 acres in the heart of Moyock!! This home has lots to offer. 3 bedroom, 2.5 baths, greatroom w/gas logs, kitchen, utility room, greatroom w/heated tile floor, living room and dining room with hardwood floors, master with walk-in closet, master bath with tiled shower, screened in porch, 24x32 detached garage, carport with lights and 30 AMP power hook-up, 10x12 shed, outside shower, weather station, chicken coop.